Recently I have gotten way to into putting apps on my phone and tablet. One of my favorites that I found is called Yummly. It is kind of a new twist on a recipe box. I like this one better than some of the other ones because not only can you store the recipe but you have the option of adding it to a shopping list in case you are wanting to make it soon. One of the recipes that I wanted to try making that I put in my box was for Two Ingredient Banana Chocolate Chip Bites. The recipe is from the BakerMama. I did make some changes along the way when I made this and even a person who does not like cooking can make this easy recipe. 1. Place sliced bananas on a baking sheet. 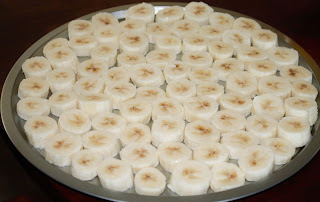 Slice the bananas into thin slices and lay flat on the baking sheet. Cover with plastic wrap and place in the freezer for 1-1/2 hours. 2. 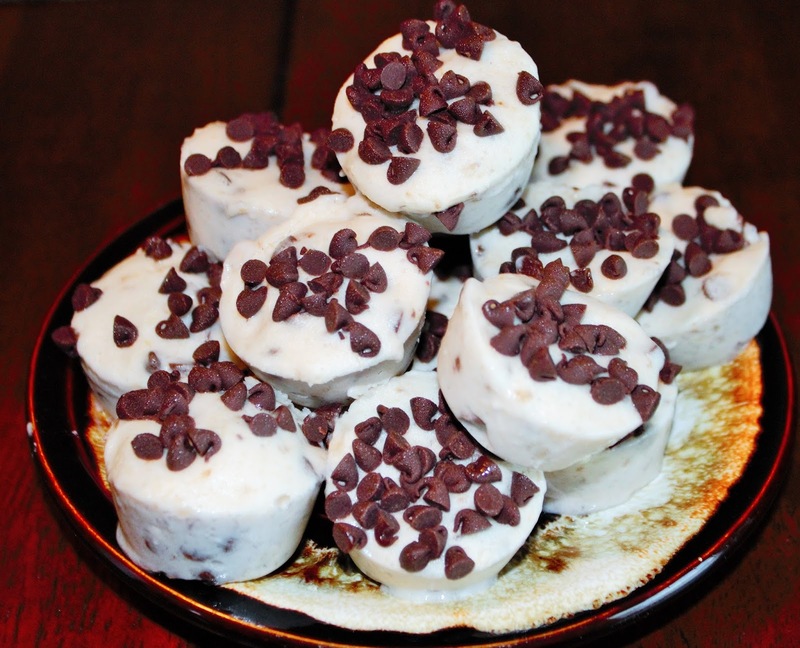 Remove frozen bananas from the freezer. Let the bananas sit out for about 3-4 minutes. 3. 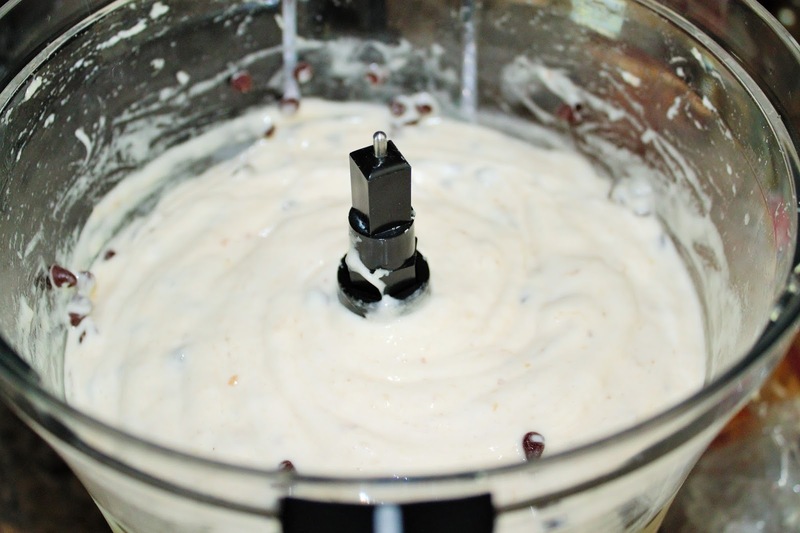 Place the bananas in the food processor and pulse/blend until smooth and creamy. I did add a tablespoon of honey to the mixture and pulsed it again. After that stir in ½ cup mini chocolate chips. 4. Grease a mini muffin pan with non-stick cooking spray ( I actually forgot to do this part, oops). 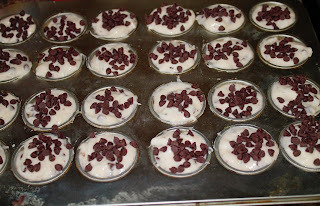 Scoop the banana ice cream into each cup, filling each one almost full (I filled them all the way to the top), then sprinkle the top of each cup with a few more mini chocolate chips. 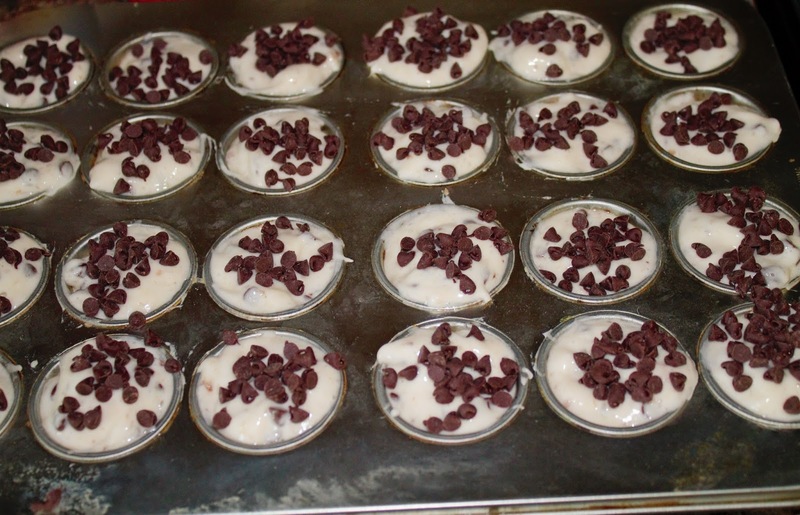 Place the muffin pan in the freezer for an hour. 5. Remove the pan from the freezer and pop each bite out with a knife. Stack the banana ice cream bites in a freezer safe container with a lid, placing parchment paper between each layer of bites to keep them from sticking together is what she said to do. I however just put them in a ziplock bag. Next time I may add in peanut butter to the mixture for some extra flavor. This is a great sub for when you want something sweet yet you still want to stay healthy. Are there any easy recipes that anyone else have tried making lately?